Recently a friend asked me to create a logo for her cake business. She had a definite idea of what she wanted, but I wasn’t sure of my abilities to create it. With the help of the “DesignEvo Logo Maker”, I was able to create her the logo that she wanted in minutes. 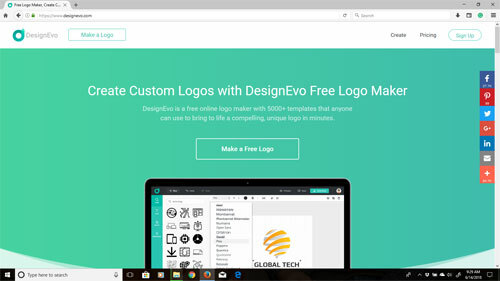 The “DesignEvo Logo Maker” is an online logo generator with over 5000 templates to help you create the perfect logo for your organization. Each logo can be fully customized to create a unique look that represents you! 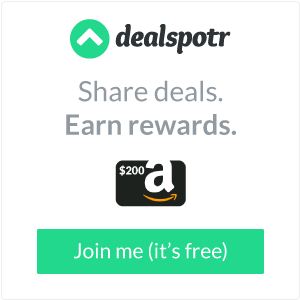 There are three different pricing levels – Free, Basic and Plus. Take a few moments to explore what each price tier offers you. The “Free” package is a great place to start. I started going through the available templates and discovered that there were several that were suitable. So I created several logos in minutes and sent examples to my friend for her to choose which she liked best. She chose one with a cupcake but requested some changes. In the past, I dreaded when a client requested changes. It was always difficult to do, but the “DesignEvo” software makes editing your logo a breeze. The more I used the software the more impressed I became. One change requested was to change the colours to match the colour scheme on her website. I was dreading this change, but quickly discovered it was as simple as a few clicks. You can edit just about everything on your logo to make it uniquely your own. You can customize everything from the font to the icon. The software allows you to add background colours, frames, additional text and icons to your design. I wanted to use this software to update my current logo. It is disappointing to learn that I am unable to upload my own images. I have already branded my blog with my pink pig and am reluctant to change. This software works best for the organization that is looking for an entirely new logo. When I confident that I had a logo she liked I upgraded to the “Plus” package, courtesy of the coupon provided to me for the purpose of this review. This allowed us some additional features, like owning the copyright to the logo. The “Plus” package also has an amazing offering of giving you the fonts use as a download. This doesn’t sound like much, but now we are able to use the font on additional products like Letterheads and Business Cards. I wish I had this software a few weeks ago while I was designing a logo for our school playground committee. That logo took me several hours to create. Using the “DesignEvo” software I was able to create this logo in a matter of minutes. The logos created with the “Basic” and “Plus” come in both Low resolution (suitable for online graphics) and High resolution (suitable for print). In my opinion, the “Free” package is a great place to start, but to ensure that you have the most effective logo for your business, invest in the “Plus” package. This ensures that you have the copyright, font files and assorted images files that printers will ask for. Your logo is an extension of your business. It is the visual anchor that draws attention to your business. With the “DesignEvo Logo Maker” you can create a logo that is uniquely YOU! Get social with DesignEvo. Check them out on Facebook, Twitter, Google+ or on their Website. *Disclosure: I received a complimentary “DesignEvo Logo Make” Plus package in exchange for my review. All opinions are 100% my own.